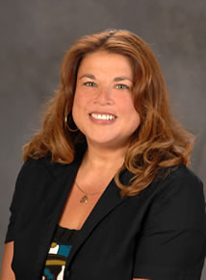 Heidi Ramos-Zimmerman got both her undergraduate and graduate degree from Southern Illinois University. She received her B.A. in Political Science in 1985 and her J.D. in 1988. Heidi comes to the Law School with an extensive criminal law background. She worked for 16 years as Assistant Public Defender in Jackson County, Illinois, handling misdemeanor, felony, and juvenile cases. She also worked as a methamphetamine prosecutor for both Union and Jackson counties in Illinois. This is the second time Heidi has been employed by the SIU School of Law. From 2005–2008, she worked as a staff attorney with the Civil Practice Clinic and as Project Coordinator for the Self-Help Legal Center. She returned to the School of Law in 2009 and is currently working as an Assistant Clinical Professor. Heidi is affiliated with the Illinois Supreme Court Committee on Language Access and the Illinois State Bar Committee for Sexual Orientation and Gender Identity, and she volunteers with the law school's Immigration Detention Project. She also assists with the law school's Bar preparation program.